Sally is an awesome new personal blogging template with a nice and clean two column layout. It is sweet and simple and is perfect for writers, collectors, fashion, beauty, and just about any other form of blogging required. Its also great for photographers because it includes the native blogger light box technology. 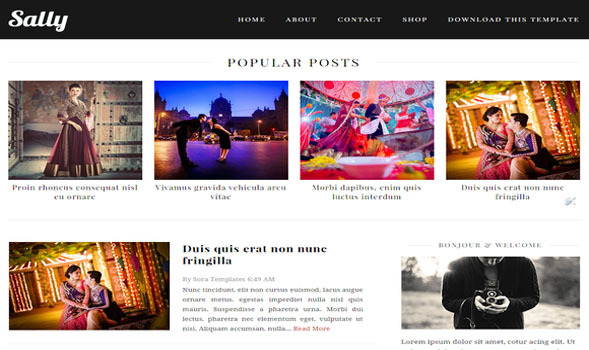 Every element of this theme is well crafted and makes your site look professional website and you get maximum exposure to your content. With a focus on reducing bounce rates, while increasing ad exposure, this theme will keep your visitors scrolling with more content all while maximizing your ad revenue.